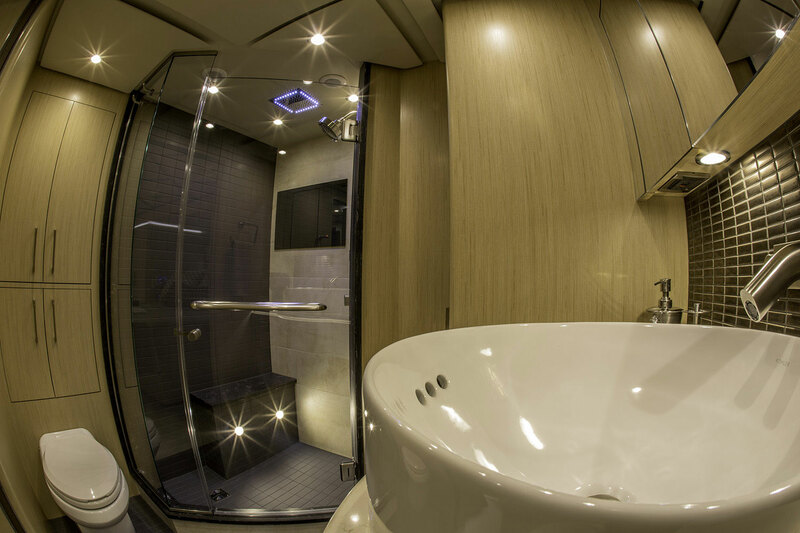 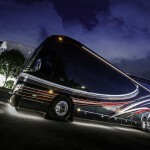 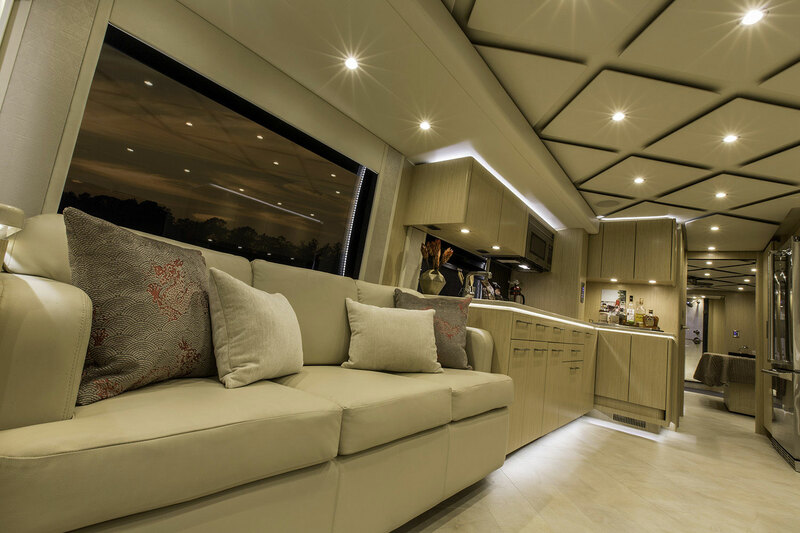 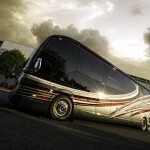 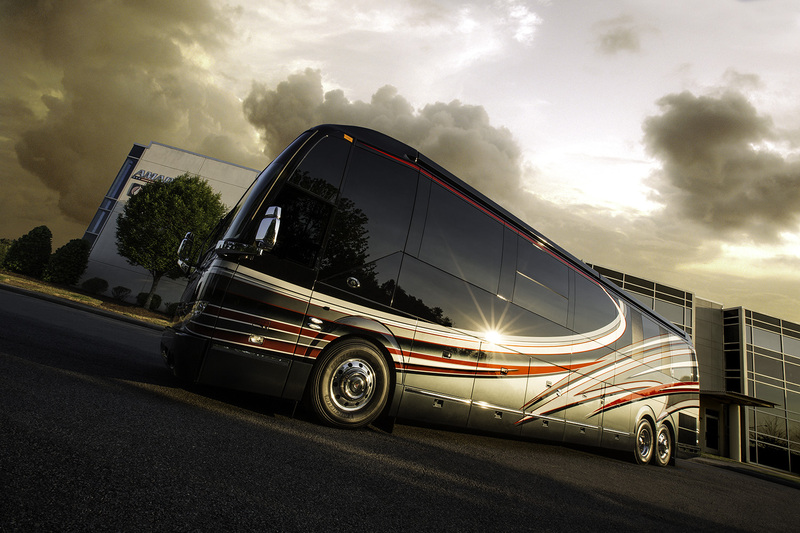 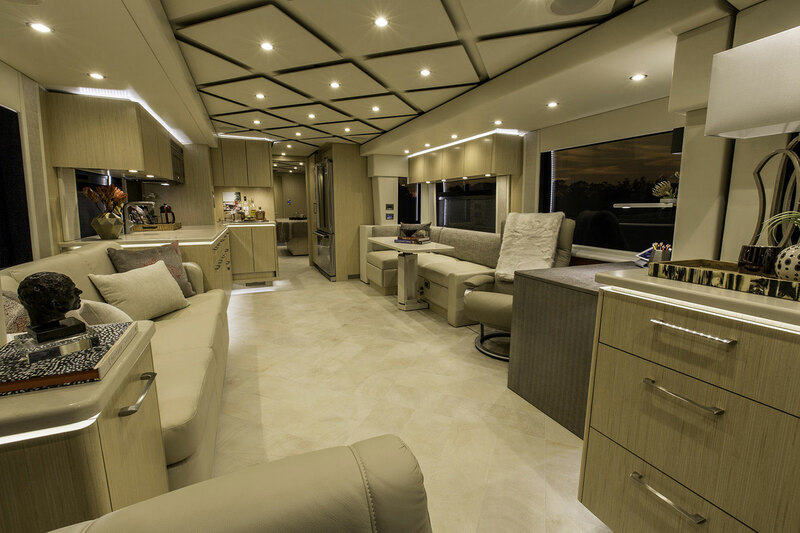 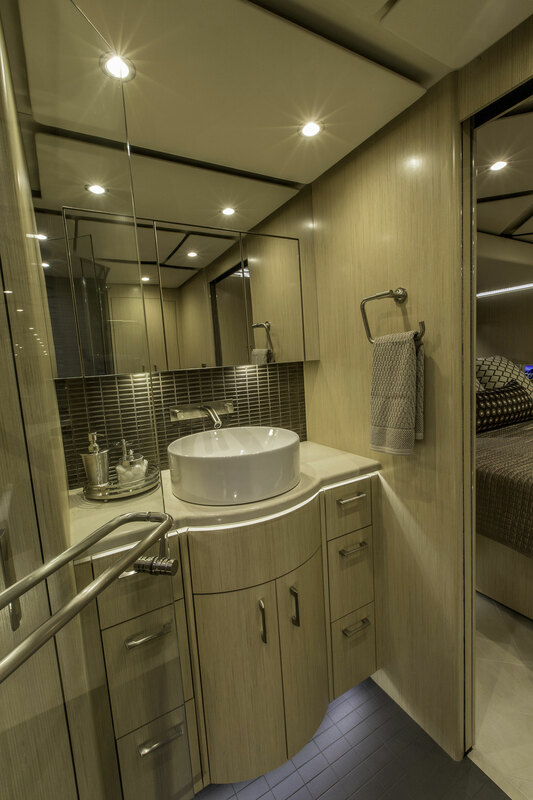 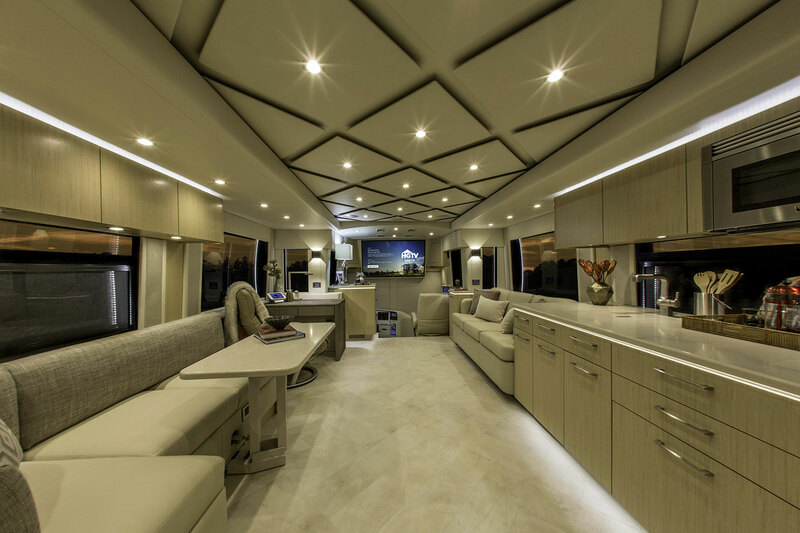 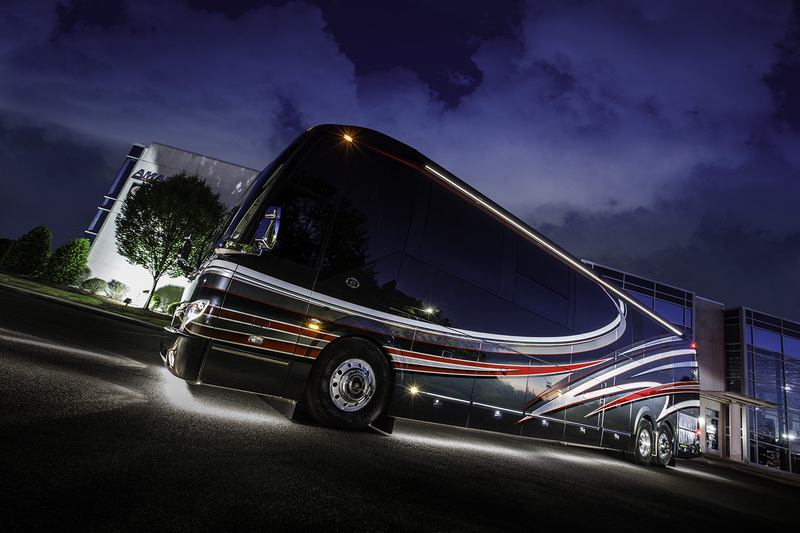 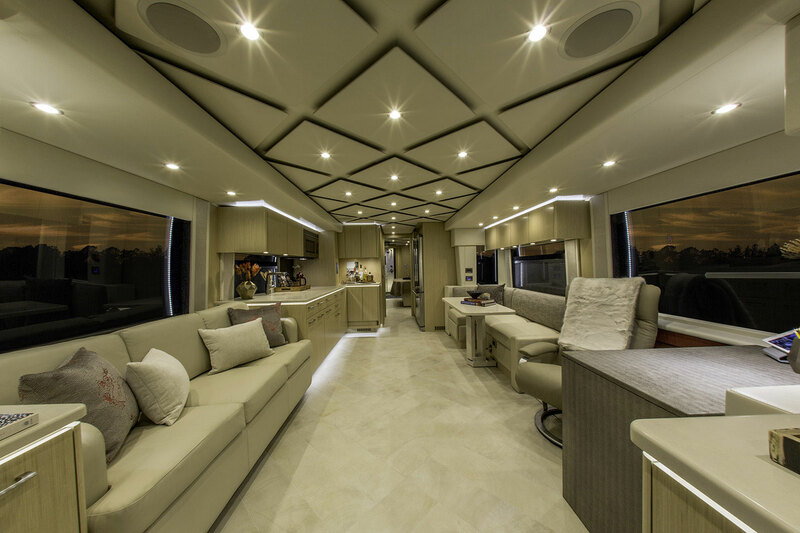 Experience the pinnacle of elegance and luxury with “Rubia,” a triple slide, bath and a half layout Prevost H3-45 from Featherlite Coaches. 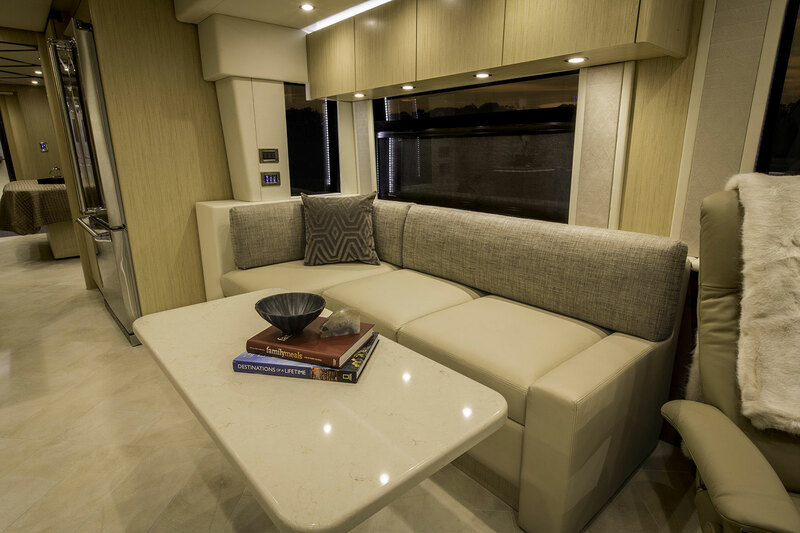 Entertain in the spacious salon featuring Ann Sacks birch-woodgrain look, heated porcelain tile flooring, a buttery-soft sofa bed and the Featherlite exclusive power operated high/low dinette that converts from a dining to a coffee table. 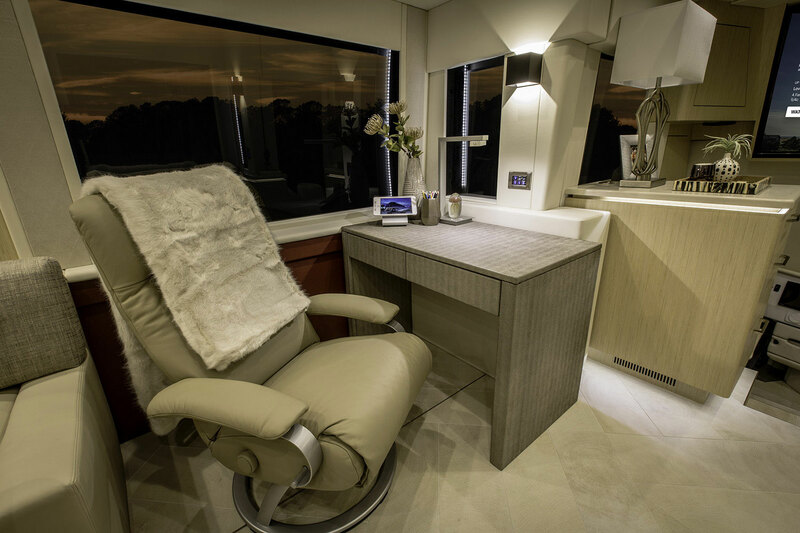 A sleek, modern recliner in créme leather pivots from entertaining to productivity at the modern Parsons style desk draped in Moore & Giles Espresso Bone Matte suede leather. 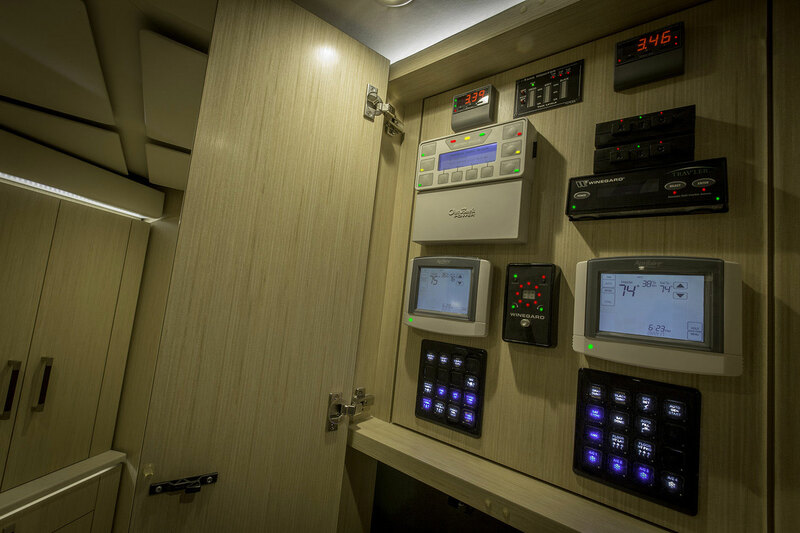 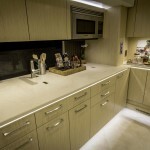 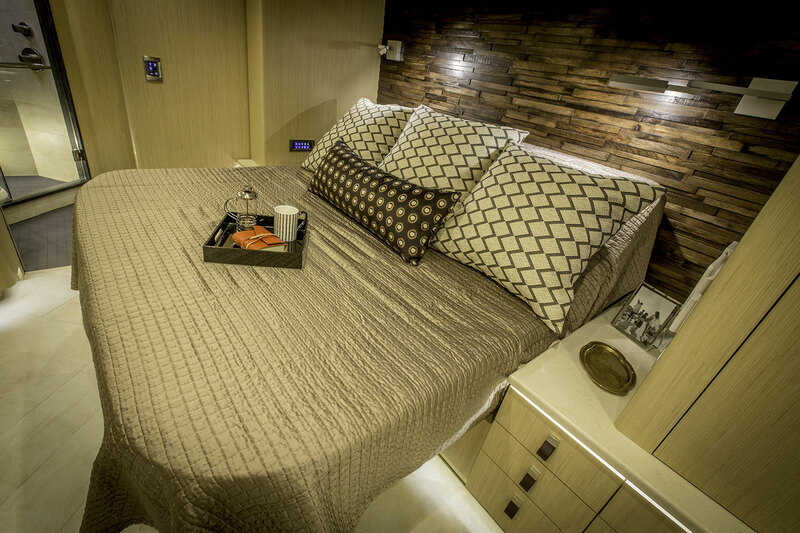 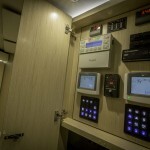 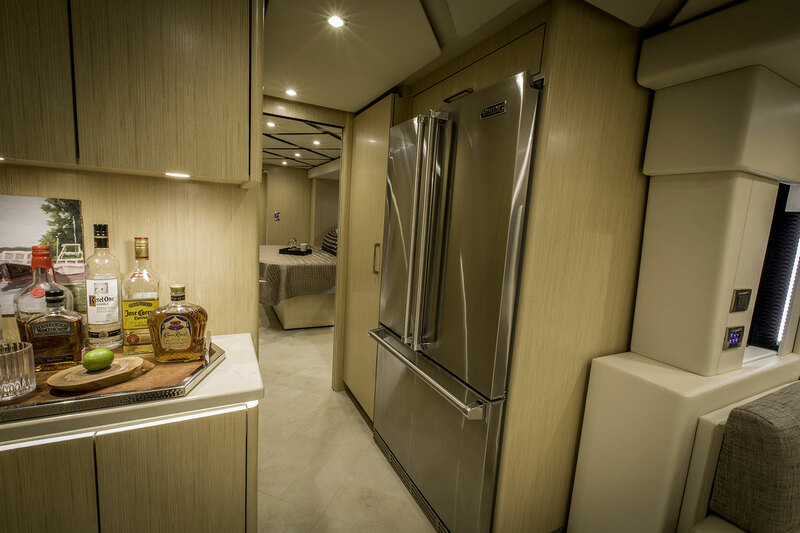 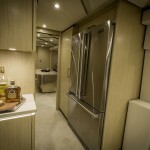 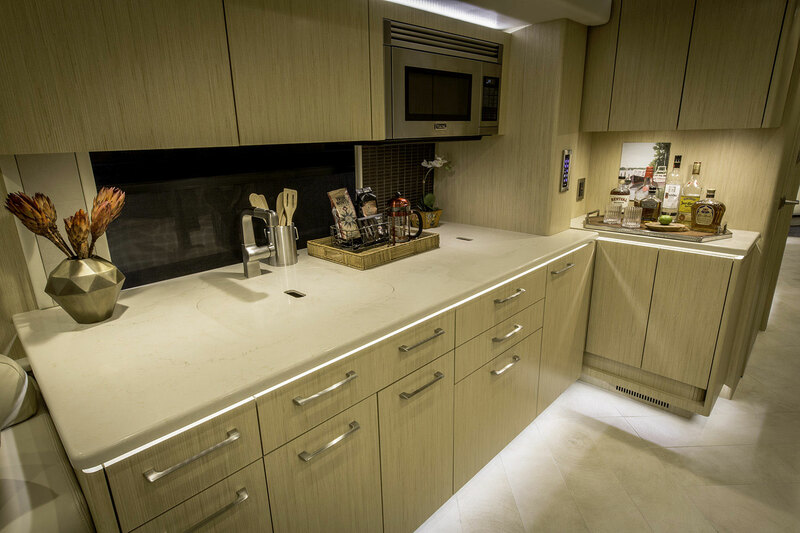 Premium appliances from brands like Viking and Fisher&Paykel and non-porous Ceasertone quartz countertops extend the luxury and performance into the galley. 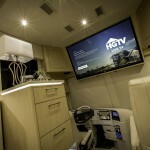 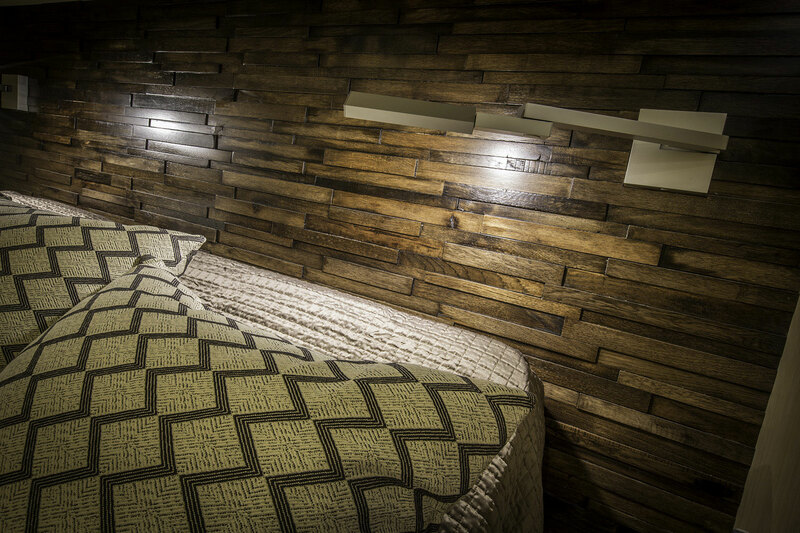 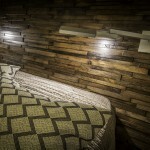 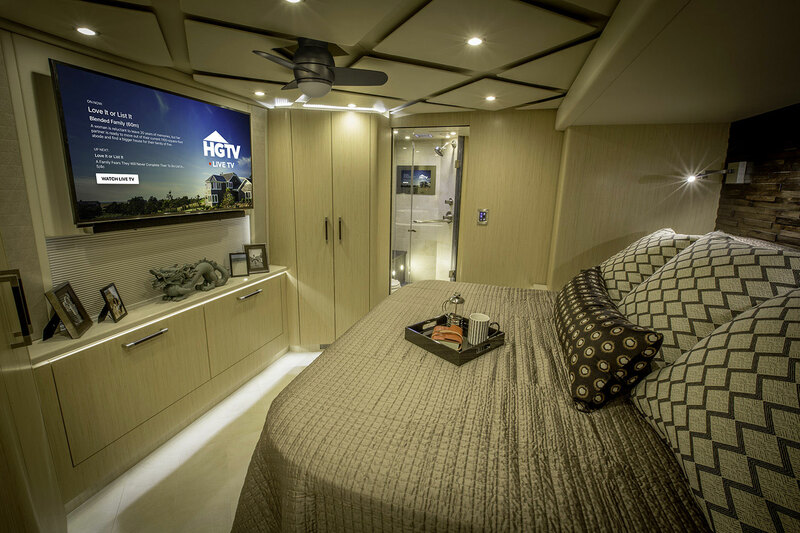 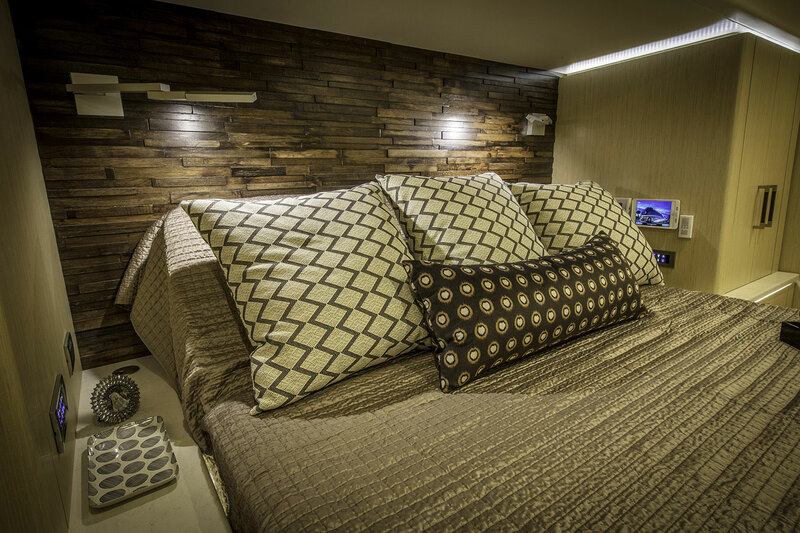 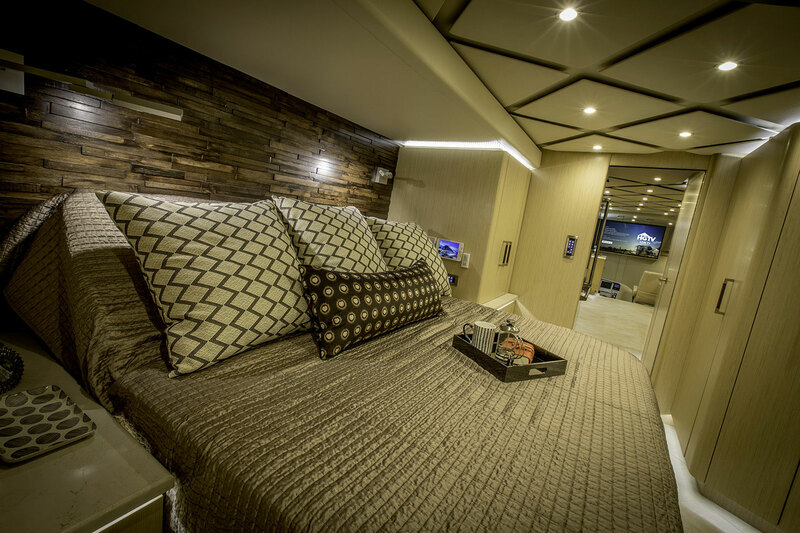 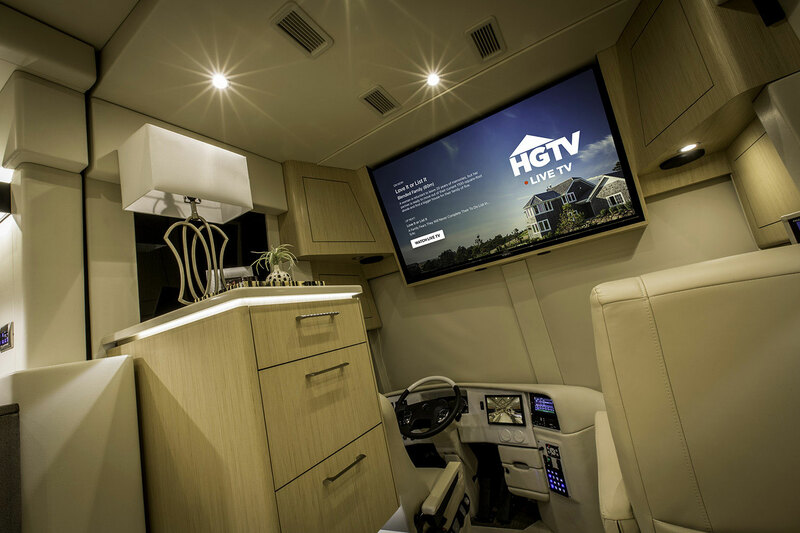 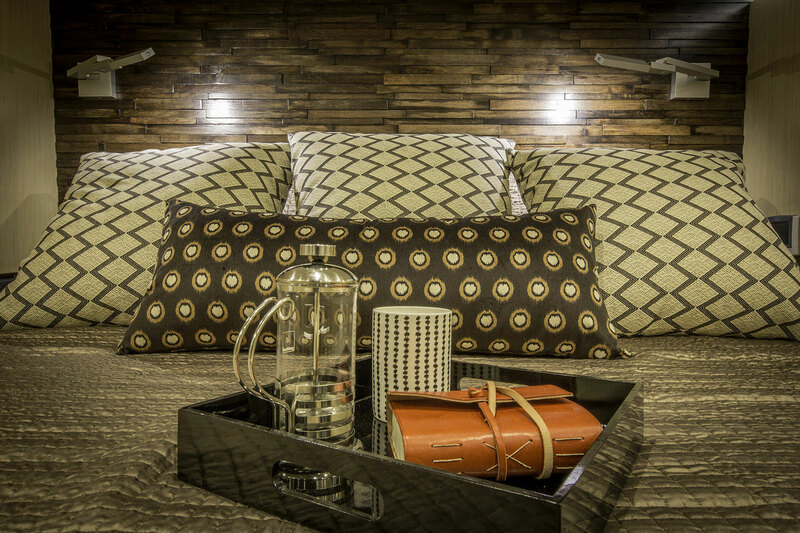 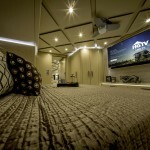 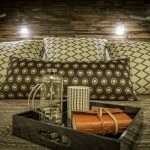 The master suite features a handsome hand finished hickory panel headboard and a power adjustable king bed creating the perfect place to enjoy the 48” 4K Ultra HDTV. 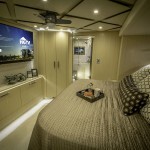 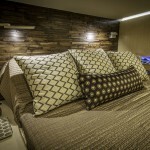 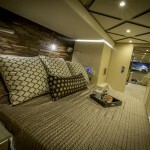 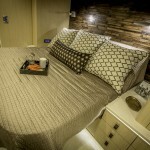 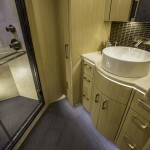 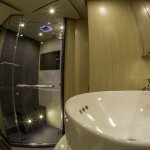 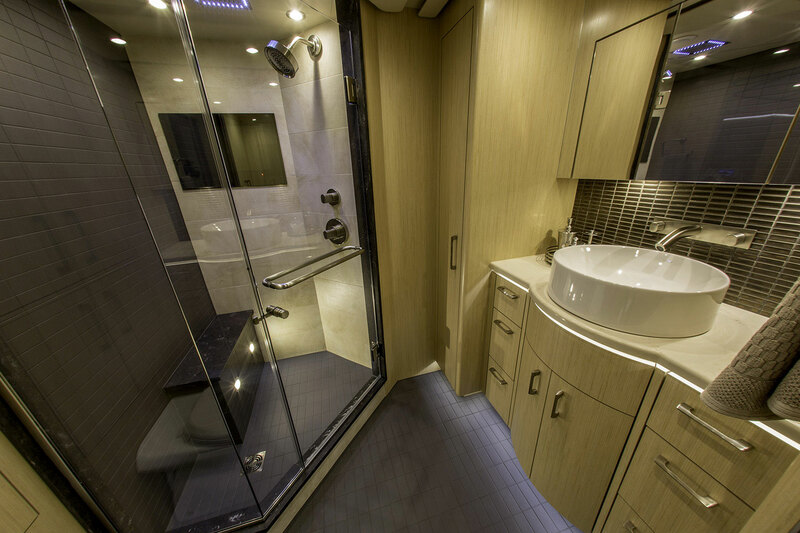 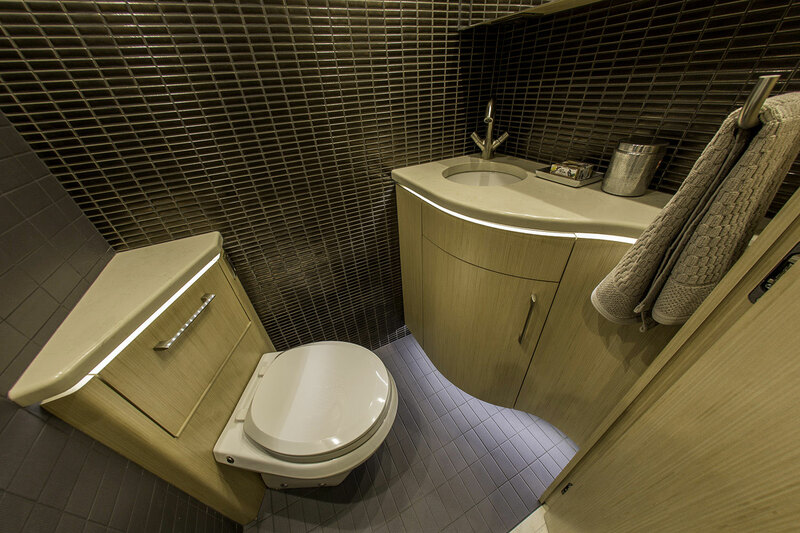 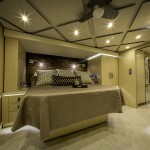 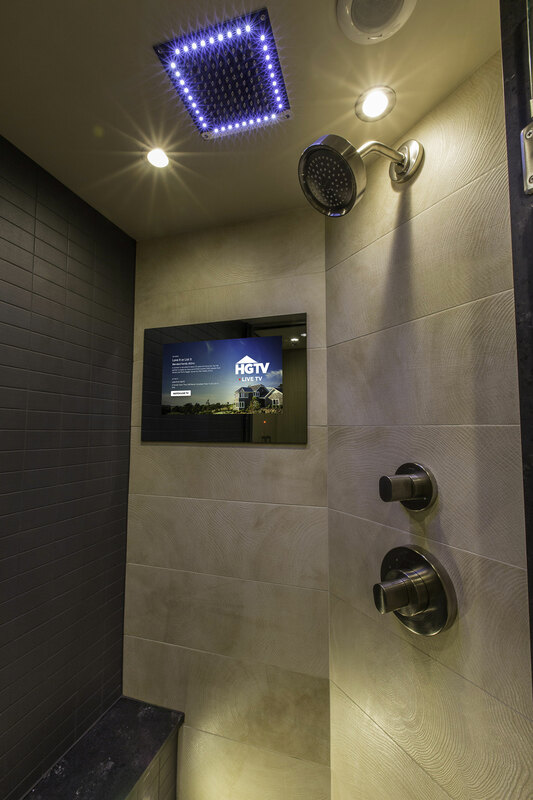 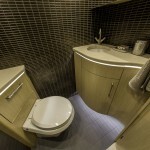 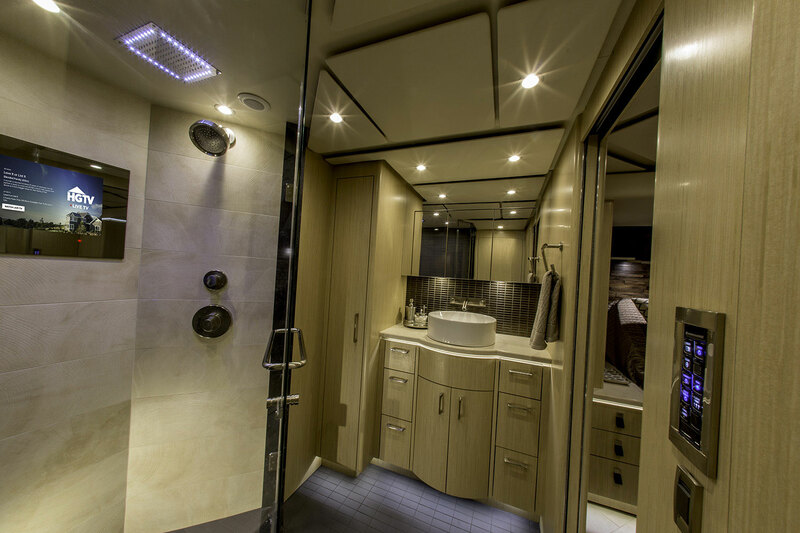 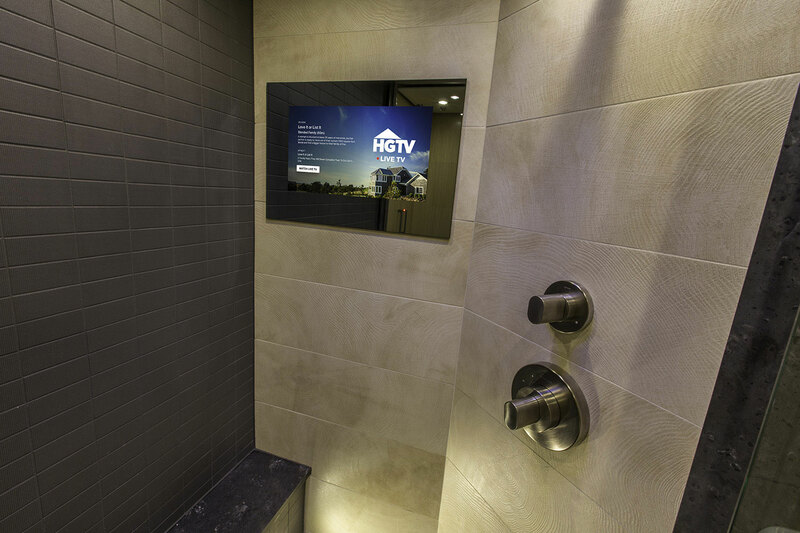 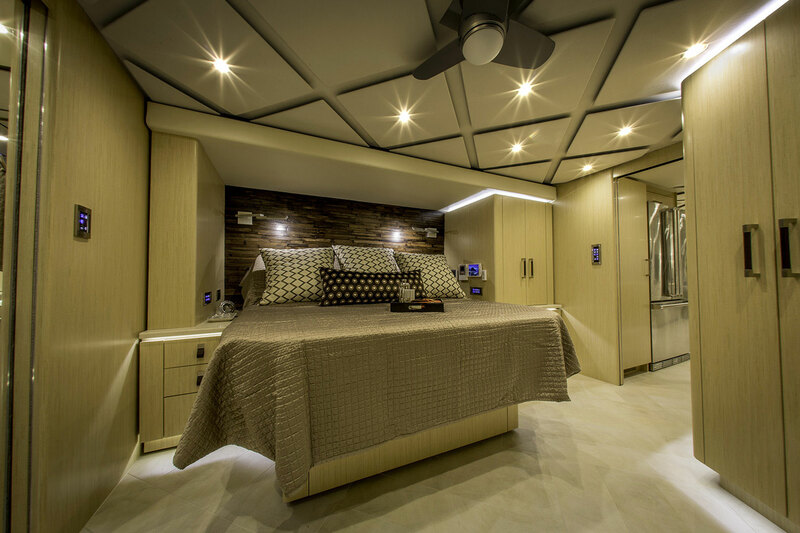 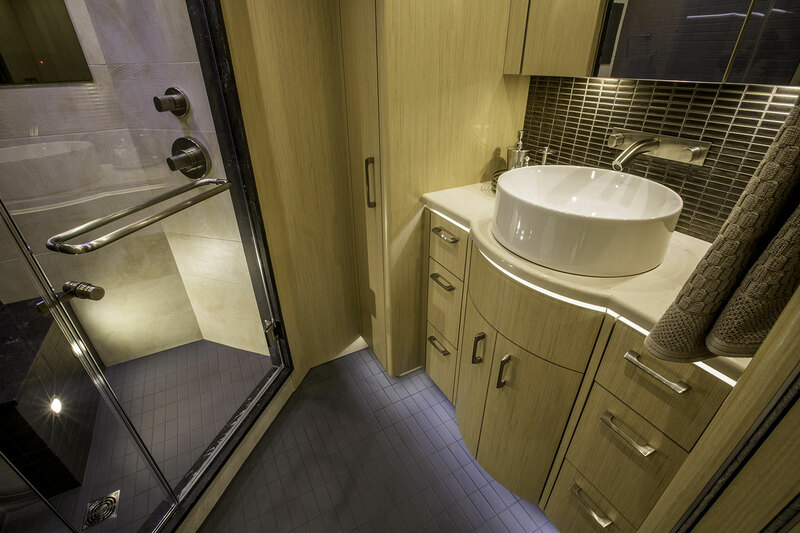 The mid-ship half bath and master suite spa are graced with Ann Sacks mosaic tile and the shower features a waterproof in-wall HDTV and ceiling mounted rainshower. 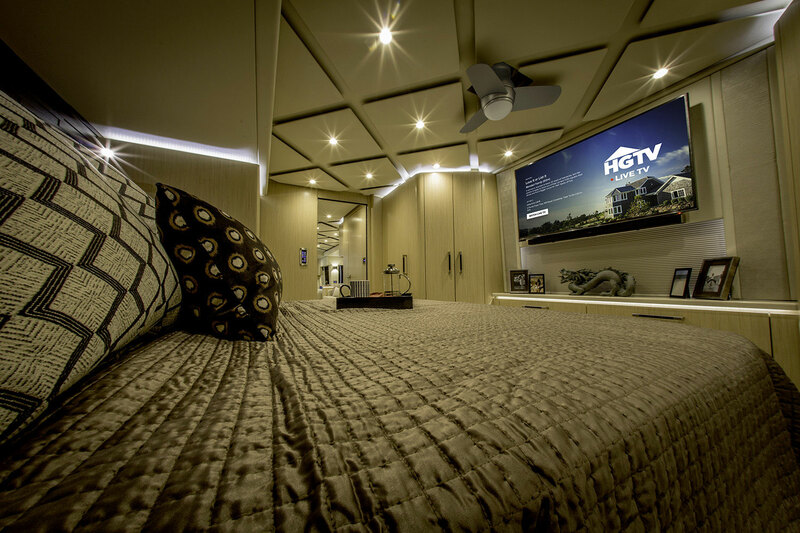 Friends are sure to gather outside to relax under the full-length LED lighted awnings and enjoy the power extending bar with push button liquor dispenser, ice maker and refrigerator while watching the big game on the 4K Ultra HDTV. 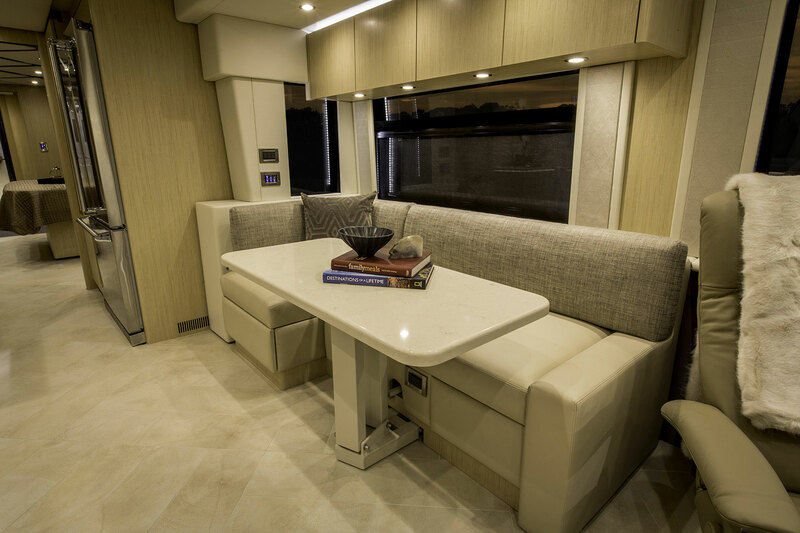 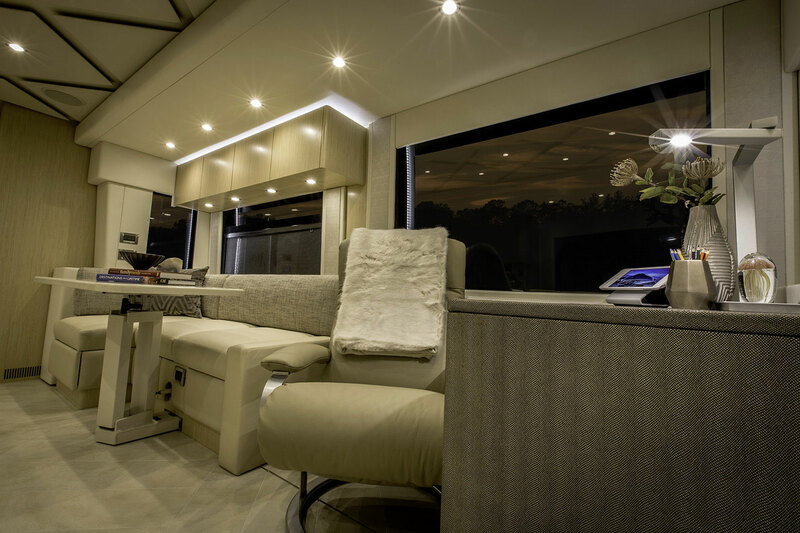 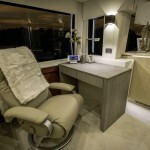 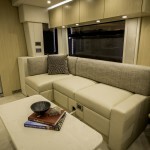 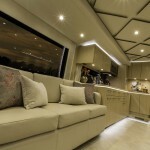 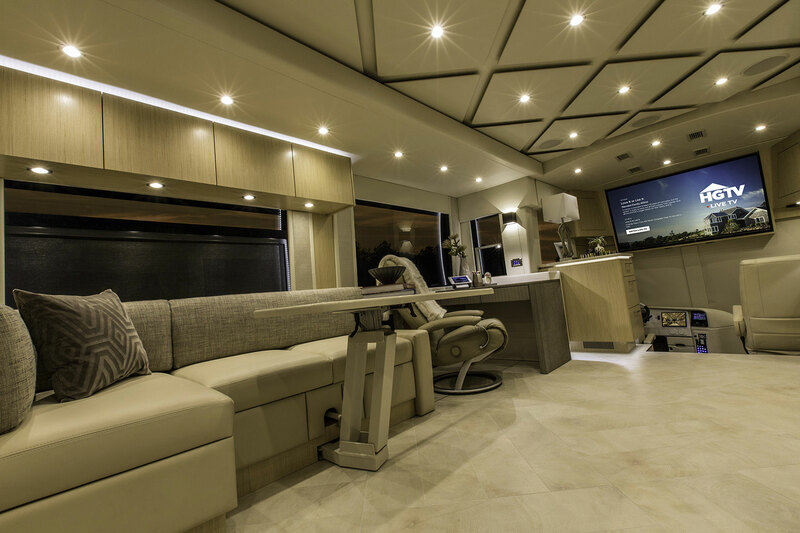 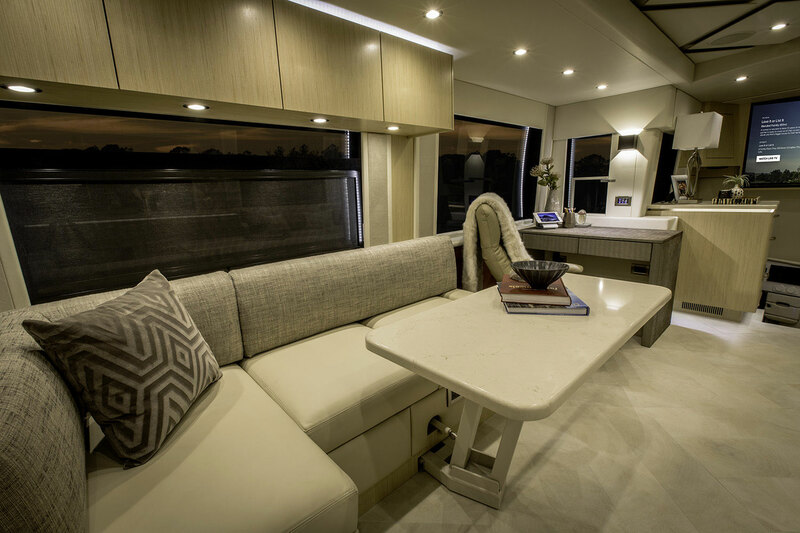 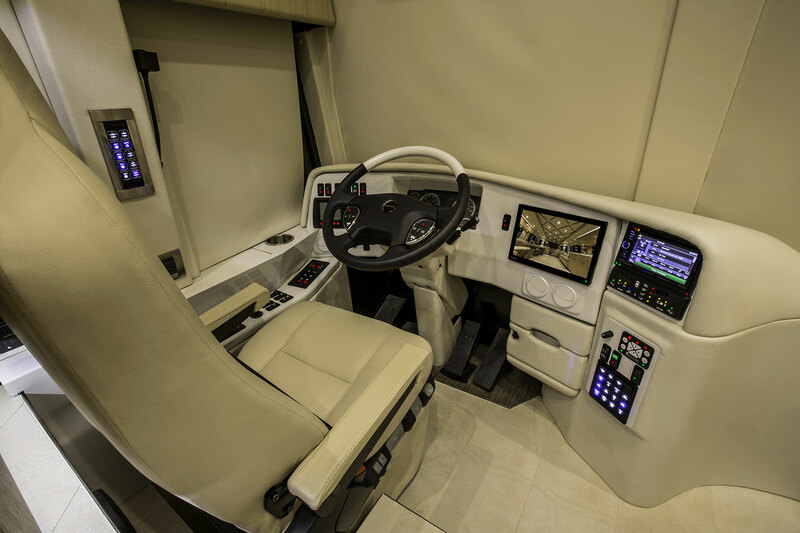 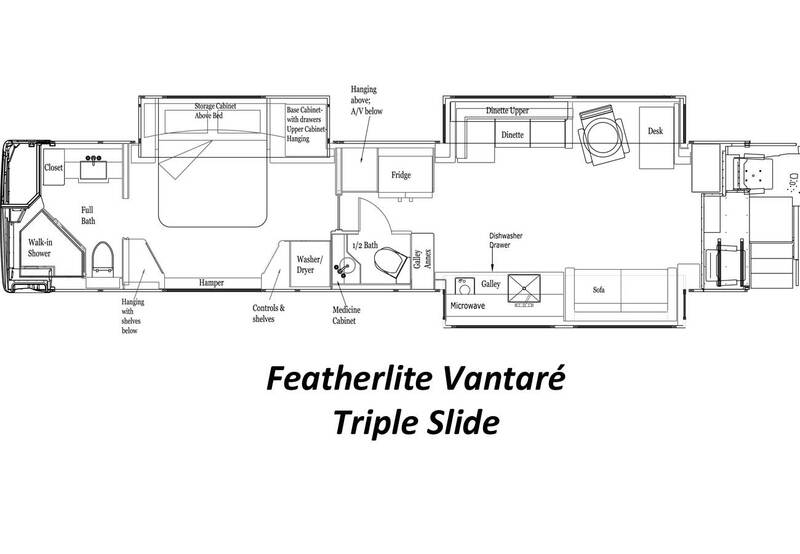 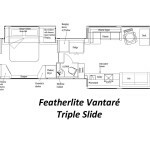 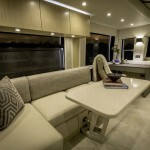 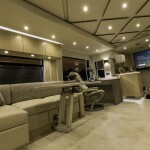 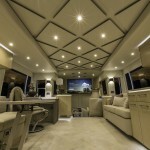 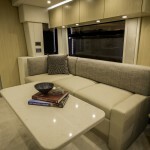 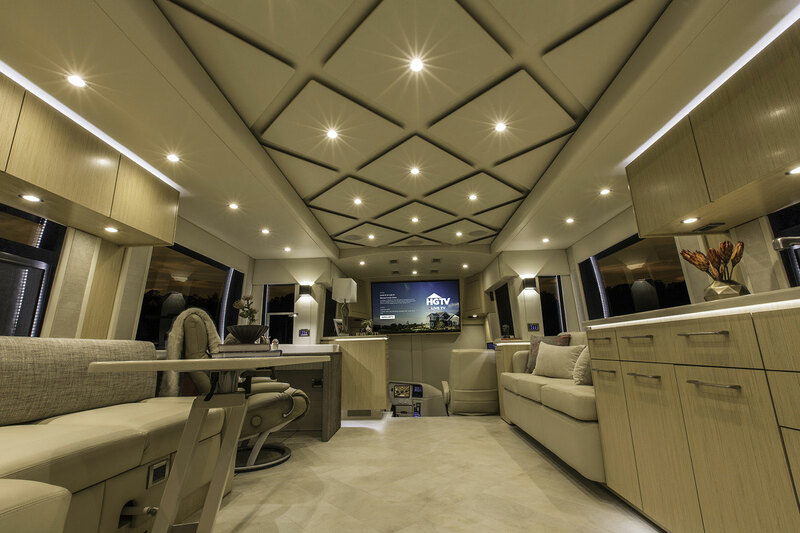 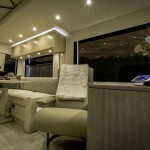 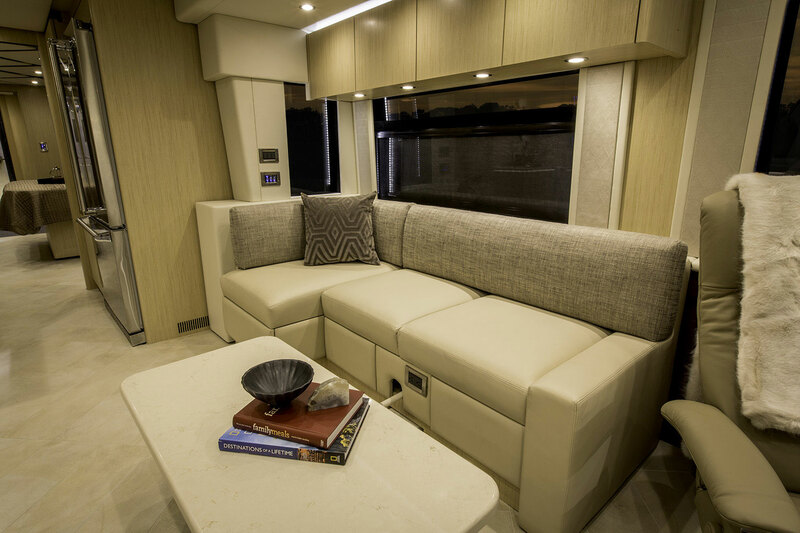 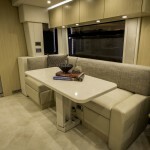 Contact us today for complete details on this 2018 Featherlite Vantaré Prevost conversion.